The Government’s vision for children and young people with special educational needs (SEN) and disabilities is the same as for all children and young people - that they achieve well, and lead happy and fulfilled lives. The Children and Families Act 2014 places important statutory responsibilities on local authorities for supporting children and young people with special educational needs (SEN) and disabilities. This a vital role that local authorities retain in our increasingly school-led education system and one that requires long-term strategic planning, informed by detailed local knowledge enhanced through consultation with parents and carers, and good relationships with local schools. Local authorities must ensure there are sufficient good school places for all pupils, including those with SEN and disabilities. The Government has committed additional capital funding to help local authorities create new school places and improve existing facilities for children and young people with SEN and disabilities, in consultation with parents and providers. This capital is not ring-fenced and local authorities can use it as they see fit to improve special provision for children and young people with education, health and care (EHC) plans. This funding can be invested in mainstream schools and academies, special units, special schools and academies, early year’s settings, further education colleges or to make other provision for children and young people aged from 0 to 25. Local authorities have to plan how to invest their own allocation. In Redcar and Cleveland we will receive £500,000.00 in total, so £166,667 each year from April 2018 to the end of March 2021. In undertaking this planning we should consult with parents and carers, schools, FE colleges and other institutions which offer special educational provision so we can invest the funding as strategically as possible. 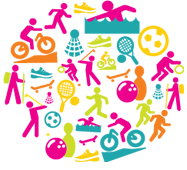 Redcar and Cleveland’s SEND Strategy 2017-2010 was produced following consultation with parents, carers and young people and all partner organisations. Consultations highlighted the need to enhance capacity and quality of provision in both mainstream and special schools in Redcar and Cleveland. The agreed vision for Redcar and Cleveland is to provide excellent SEND provision within our Borough to improve outcomes for Children/Young People aged 0-25 years with Special Educational Needs and Disabilities. 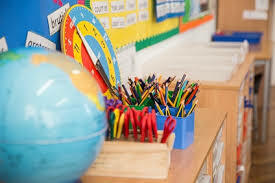 Substantial work has been undertaken by our special schools in respect of pupil populations and they are aware of the challenges that accompany the growing complexity of significant needs and the compounding nature of these needs in respect of numbers of specialist staff and the adequacy of classrooms and buildings. Given the significant growth in the complexity of needs we need to be assured that the outcomes for children and young people with SEND are the best that they can be and that the gap does not widen. We realise that our mainstream schools need to be better equipped to provide for greater complexities to drive inclusion and parental choice and we intend to support them to develop peer to peer learning programmes and to have better access to therapeutic and specialist support. We are also aware of the growing trend in Social, Emotional and Mental Health (SEMH) issues for our children and young people which can often manifest in perceived behavioural issues. Together with the support of our local schools we intend to develop better approaches to managing behaviour to reduce the number of exclusions and to reduce the number of children who cannot continue to be educated at their local school or who are receiving less than a full-time education. 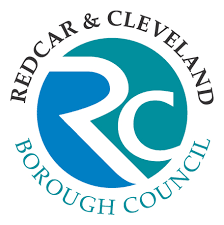 Please click here to see Redcar and Cleveland’s published plan showing how we propose to invest the Special Provision Capital funding.